A classic British roadster regarded as one of the most beautiful cars ever made will be returned to its 82-year-old owner nearly five decades after the vehicle was stolen. 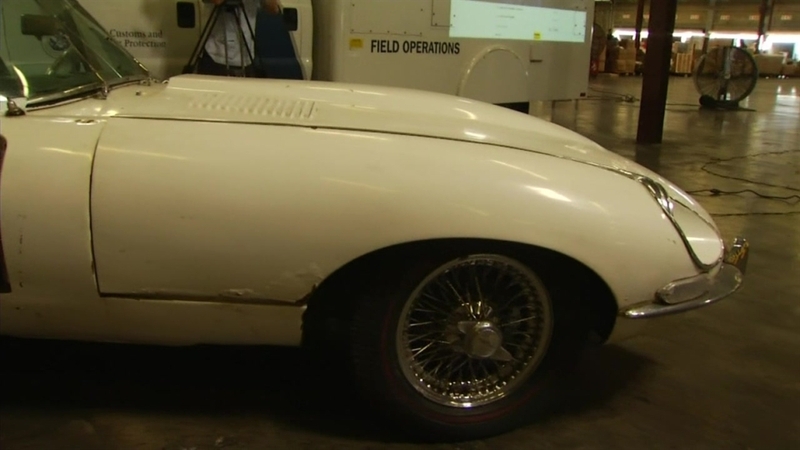 The 1967 Jaguar E-type convertible was seized by authorities last month at the Los Angeles/Long Beach seaport. Referred to the XKE in the United States, the car has captured hearts of auto enthusiasts, including Ivan Schneider, since it roared onto the scene in the 1960s with its sporting pedigree, graceful long hood, sleek profile and other timeless design elements. The New York Museum of Modern Art even added an XKE to its permanent design collection in the 1990s. This particular car's story is not all about looks -- although, most of it is. The car was stolen 46 years ago in New York City and Schneider, now living in Miami Beach, had no reason to believe he would ever see his beloved sports car again. He was so enamored with it that whenever he bought a new car, Schneider recalled regaling dealers with tales of his lost E-type, which the trial lawyer then in his mid-30s bought for $15,000 after winning a big case. Hagerty's classic car price guide now values the convertible 4.2-liter engine model at more than $112,000. "I've had a lot of great cars since then, but none of them as pretty," Schneider, a car collector, said Wednesday. "I've had every car you can think of. That was, in looks, my favorite car. "It's gorgeous. It looks like a bullet almost. It's a car they should make now again." 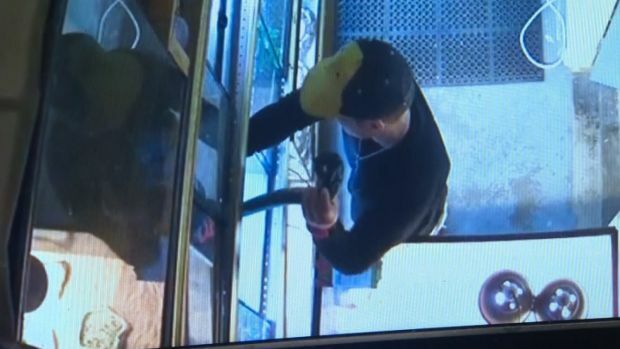 The theft occurred outside his New York City residence. Schneider walked downstairs on his way to work and realized the car wasn't where he parked. "I walked up and down Madison Avenue, then up and down 5th Avenue, and it wasn't there," he said. "I was heartbroken." He filed a police report. Holding out hope that the Jag would be found, he did not buy another car for about four weeks. Eventually, he accepted the possibilty he would never see it again. Forty-six years later, he found what a U.S. Customs and Border Protection official told him during an August phone call even more difficult to accept. The car had been located in a shipping container at the Port of Long Beach/Los Angeles that was bound for Europe. "When I got the call, I thought they were kidding me," Schneider said. The break in the decades-old vehicle theft case came when Customs and Border Protection was notified by the National Insurance Crime Bureau of a vehicle reported stolen. CBP typically cross-references documentation provided by exporters with information, including vehicle identification numbers, in the Crime Bureau's active stolen vehicle reports. "When we located the vehicle, it was in a container bound for the Netherlands," said Javier Larios, of the CBP. The agency notified the carrier that the container should be returned to the Southern California port complex. When agents opened the container, they found Schneider's Jag, painted white over its original gray color. "The outside looks great, the inside looks terrible," Schneider said. "This is just a miracle, a miracle." Schneider plans to have the car restored in New York before it is shipped to his Florida home. He said he is "very excited" to take it for another ride after only putting 6,000 miles on the car before it disappeared.